VIVOBAREFOOT x Sensoria collaboration introduces a smart shoe at CES 2017, that will help detect forces – like impact score, foot landing and contact time metrics – with extreme precision. For us here at FashNerd.com, #CES2017 is definitely a great way to start the new year. Frequented by makers, designers, and innovators, CES, for publishers like ourselves, is the ‘land’ of plenty. An event where tech ideas and concepts come to life. Last year we were wowed by Mira Vivid Wellness Bracelet, impressed by the OMBra and enchanted by Fitbit‘s Blaze smart watch. Now this year we look forward to meeting brands like VIVOBAREFOOT. Introduced to us last year, it was VIVOBAREFOOT’s mission to change the footwear industry with their sustainable shoes, using recycled, locally sourced material that caught our attention. Launched 2012 by two cousins, VIVOBAREFOOT have patented, ultra-thin puncture-resistant sole that protects the foot and allows for maximum sensory feedback. Now, the London based brand has partnered up with Sensoria, a leading developer of smart garments and IoMe (Internet of Me) wearable artificial intelligence solutions. Together they have brought IoT-Enabled Running Shoe to the Consumer Electronics Show in Las Vegas. When it comes to playing a role in helping an industry improve its product with the use of technology, the Sensoria Development Kit does not stand alone in that field. There is Neue Lab’s Automat and 360 Fashion’s tech kit. Previously written about on FashNerd.com, they were developed to eradicate the need to code. When it comes to the Sensoria Development Kit, it’s main use is to assist in building custom solutions by experimenting with technology that will enable multiple quantified-self scenarios. Available for both commercial and non-commercial use, the Sensoria Development kit has been designed to allow footwear, sports apparel and lifestyle brands to harness the same technology components used in Sensoria’s smart garment running system. 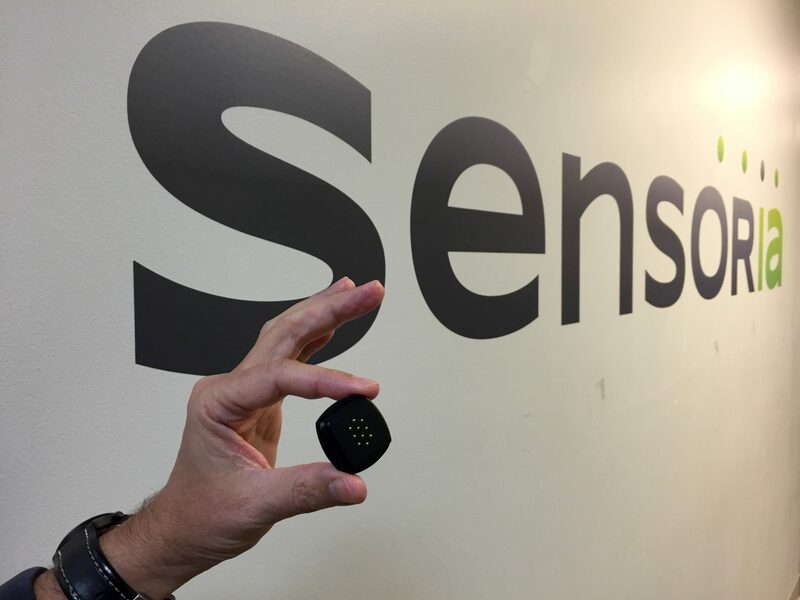 The Sensoria Core key features include ultra-low power system-on-chip, storage, the ability to connect to multiple footwear and garment embedded sensors. Bragging a 9-axis MEMS sensor, it is also compatible with the Sensoria Web Dashboard v2.0. ALSO READ: Ready For The Next Wave of Tech Trends Set To Have An Impact in 2017? In the case of VIVOBAREFOOT, the removable Sensoria Core devices are connected to four pressure sensors in the plantar area of each shoe to help detect forces – like impact score, foot landing and contact time metrics – with extreme precision. From there, a step by step natural running transition training plan with artificial intelligence technology delivers audio and visual information in real-time via the new Sensoria Run 2.0 app for iOS. Looking to educate our transition back to “strong feet and pain free movement,” cobblers, Galahad and Asher have gotten our attention. Their new concept smart shoe, available to consumers later in 2017, can currently be previewed at CES 2017 at the Sensoria booth #44930, located at the Sands Expo in Tech West. For more on VIVOBAREFOOT, look out for FashNerd.com founder Mano ten Napel review of the VIVOBAREFOOT’s Tracker FG shoes, coming soon.